Back in April of 2015 — yes, 2015, which is now 2 years ago if you've lost track of time — the CBS Sports app got updated with the changelog showing "Android TV Support." We cheered for the news like we do when apps that make sense to view on a big screen jump over to Android TV, but our joy was very short-lived. Despite the changelog, neither the ADT-1 nor the Nexus Player showed as compatible with the app so we could not install it and try it out. It looks like someone at the CBS Sports app dev team may have jumped the gun "a little" with their changelog as the app only now, a whole 21 months later, became really compatible with Android TV. 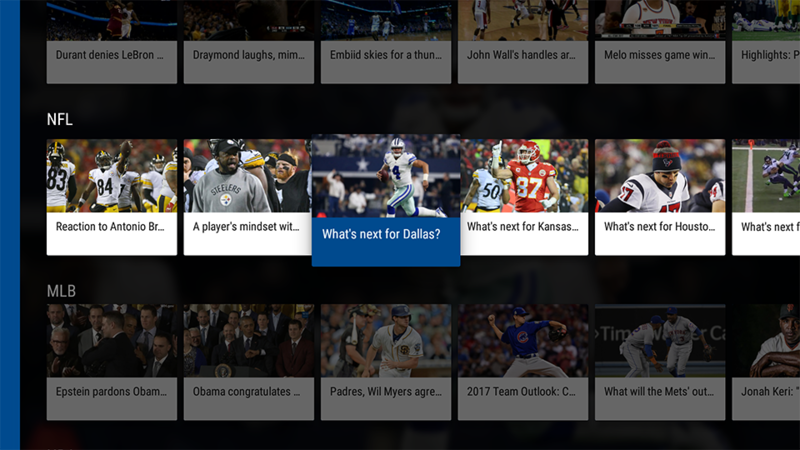 There's a new changelog for version 8.4.7 that celebrates the ability to watch sports videos on Android TV devices and to choose between many leagues including NFL, MLB, NBA, NHL, and more. 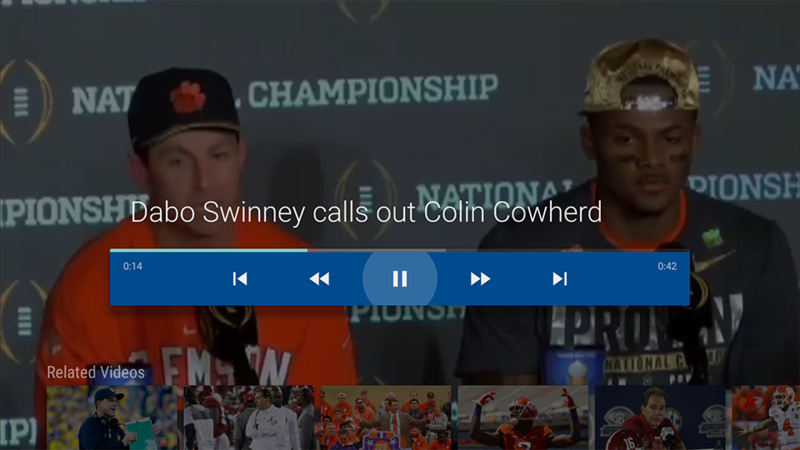 + Watch CBS Sports videos on your Android TV device! 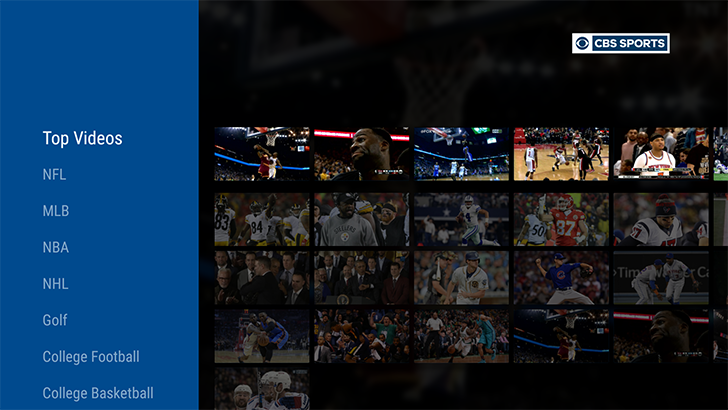 + Choose content from categories including NFL, MLB, NBA, NHL, NCAA, Golf, and more. 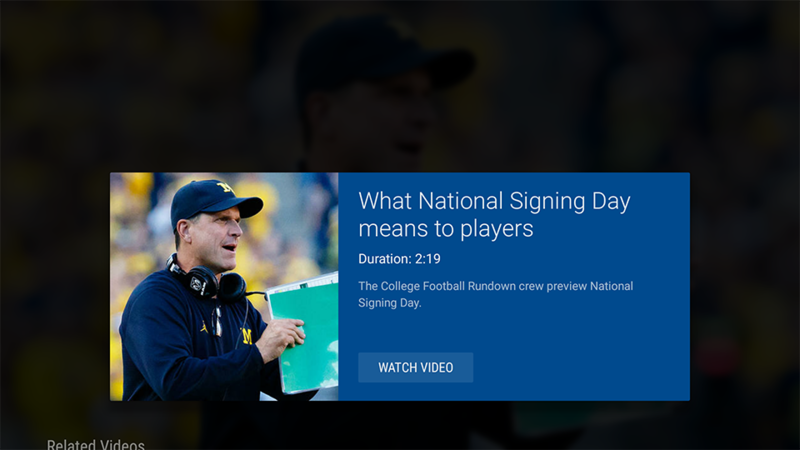 Michael tested it on his NVIDIA SHIELD and confirms that the app installs and works well, letting him browse through the different leagues, pick videos to watch, read a short description, and stream and control playback. If that sounds like something you want to try on your own Android TV device, here's the link to the app on the Play Store.